1. Snowshoe Hike on January 15 at Fenner Nature Center in Lansing. Click here for more information. 2. 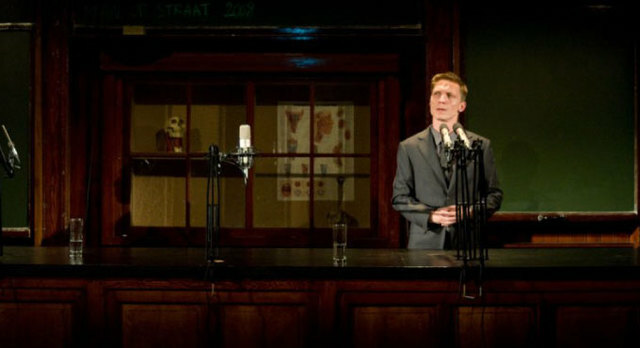 Wharton Center Presents: Valentijn Dhaenens: Bigmouth on January 15 at Wharton Center for Performing Arts in East Lansing. Click here for more information. 3. Up Cloche: Fashion, Feminism, Modernity through August 30 at MSU Museum in East Lansing. Click here for more information. 4. Cross Country Skiing Class on January 16 at Harris Nature Center in Okemos. Click here for more information. 5. MSU Women's Basketball vs Iowa on January 16 at Breslin Student Events Center in East Lansing. Click here for more information. 6. Blindfolded Win & Food Tasting at Bordeaux in Lansing on January 16. Click here for more information. 7. Pour It Up! on January 16 at the Lansing City Market in Lansing. Click here for more information. 8. Lansing Boat Show 'H2O-16,' January 15-16 at the Lansing Center in Lansing. Click here for more information . 9. Beale Street Bound Blues Party on January 17 at the Green Door Blues Bar & Grill in Lansing. Click here for more information.